Professor Teslastein jaggedly cuts, bending back the metal flesh. Feverishly he works to create new vehicles of destruction for his nefarious exploits. Two models take shape from the scraps: in one he plants a vine to give it strength and in the other he gives a piece of himself. The Frankendunnys come alive. He leaves his laboratory, happy with his success, not noticing a third figure has risen from the decay. Concealed in the shadows, its eyes are glowing, gears are turning, and electric current is pulsing with life. 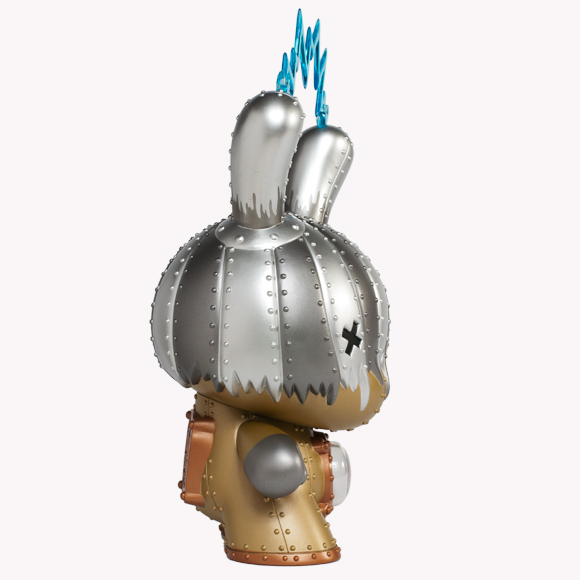 Doktor A’s 8-inch Ironclad Decimator Dunny is available in two editions: the first is shades of metallic silver and gold, with a uniquely sculpted head and body, and transparent blue lightening bolt accessory between the ears. 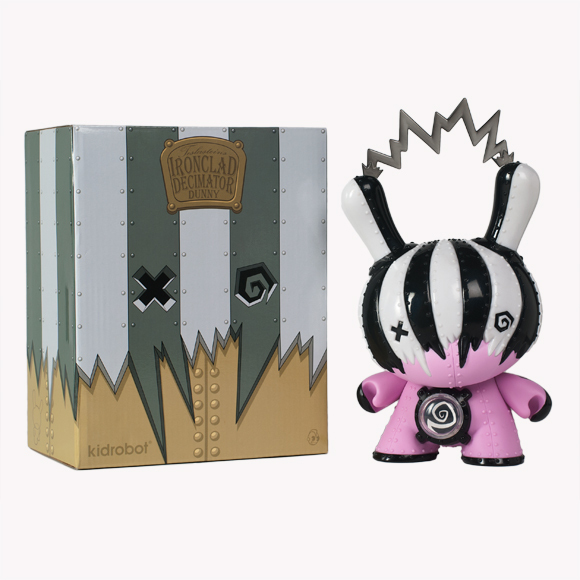 This edition is a KR Exclusive and only available at Kidrobot stores and kidrobot.com. 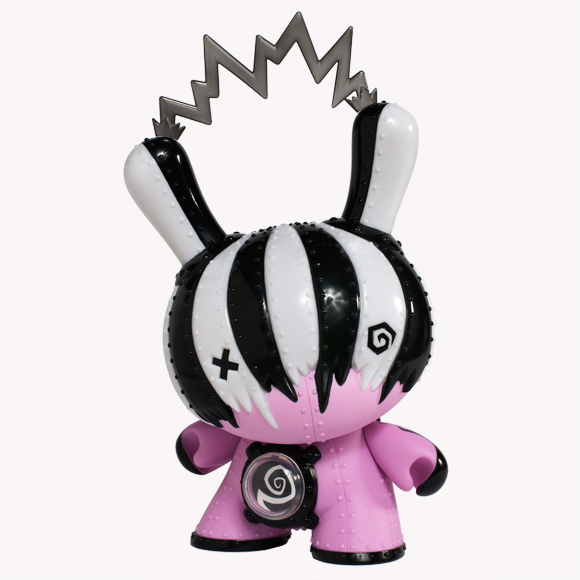 The Mecha Rupture Edition is matte pink with a black and white high gloss head and details, a uniquely sculpted head and body, and a black transparent lightening bolt. The Mecha Rupture edition is a Wholesale Exclusive and only available at select retailers worldwide. Each produced in a limited edition of 600 with a 1 in 6 chase. 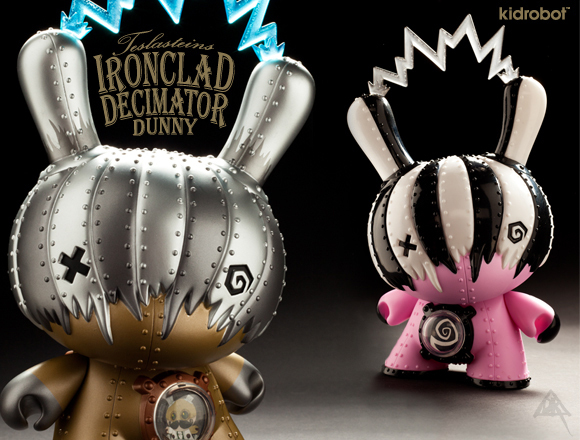 These Dunnys rise September 6, retailing for $75 US (£60 UK, €69.60 EU). 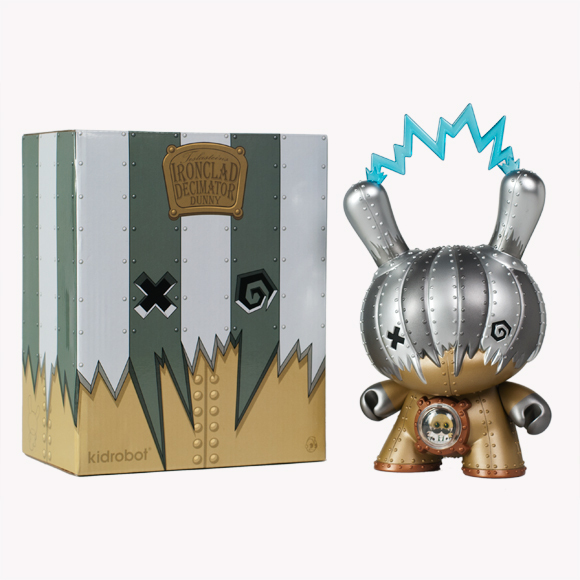 Find Mecha Rupture at one of these exclusive Dunny dealers. Check with your local retailer for more details.